Hors d’oeuvres and cocktails al fresco, featuring Governor De Witt Clinton’s favorite drink. Guided mini-tours on their historic trolley with Green-Wood historian, Jeff Richman. Please arrive in business Casual Attire. The De Witt Clinton Award For Excellence in the Arts, Literature, Preservation and Historic Research honors the legacy of 19th-century New York Governor De Witt Clinton, who also served as mayor of New York City, state senator, assemblyman and United States senator. 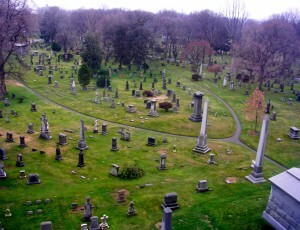 Clinton, who is interred in Green-Wood Cemetery, was a devoted supporter of the cultural growth of the city and the state of New York. Also: VIP Reception with Mr. Hamill for members of the Host Committee, board members, and VIP ticket holders until 6:30 p.m. 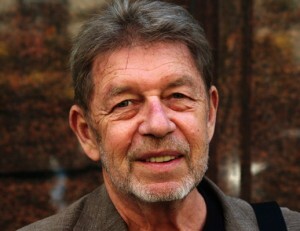 Presentation of the 2011 De Witt Clinton Award for Excellence to Pete Hamill. To purchase tickets, click here or call 718-210-3011 for more information. reputation for its magnificent beauty and became the fashionable place to be buried. By 1860, Green-Wood was attracting 500,000 visitors a year, rivaling Niagara Falls as the country’s greatest tourist attraction. Crowds flocked to Green-Wood to enjoy family outings, carriage rides and sculpture viewing in the finest of first generation American landscapes. Green-Wood’s popularity helped inspire the creation of public parks, including New York City’s Central and Prospect Parks. 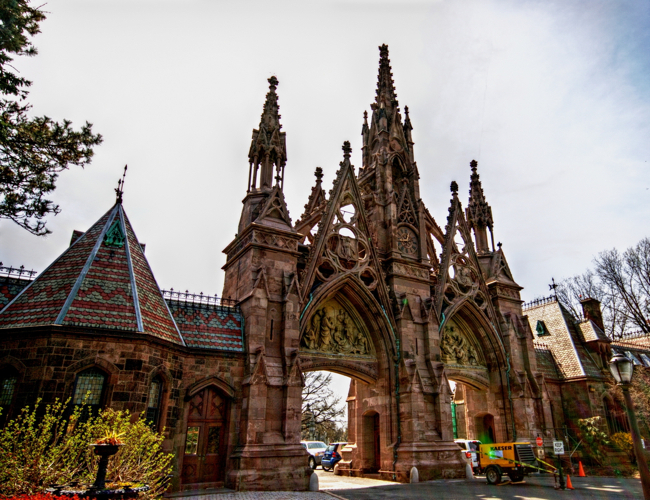 Established in 1999, The Green-Wood Historic Fund’s mission is to maintain Green-Wood Cemetery’s monuments and buildings of historical, cultural and architectural significance; advance public knowledge and appreciation of this significance; and preserve the natural habitat and parklands of one of New York City’s first green spaces. With funding from memberships and donations, The Historic Fund not only preserves the past to enrich our future, but keeps a vibrant presence in our current time by presenting open-to-the-public events which include themed walking and trolley tours, book talks and special seasonal events. Via car: Green-Wood is accessible from both the Brooklyn-Queens Expressway/Gowanus Expressway (via the 38th Street exit to 5th Avenue and 25th Street) and the Brooklyn Battery Tunnel (via Hamilton Avenue to 25th Street). Parking is available. Via subway: Take the R train to 25th Street station in Brooklyn. Walk east one block to Green-Wood at 25th Street and 5th Avenue.